Welcome to Woodcraft Flooring. Based in Hertfordshire, just north of London, we also cover Buckinghamshire, Essex, and Greater London. We’ve the expertise to help you decide on your perfect floor, a team of skilled tradesmen to customise and fit it to your exact requirements, and an after-sales service which includes free maintenance for three years. Read about how we’ll walk you through making the right choice, and our installation service. 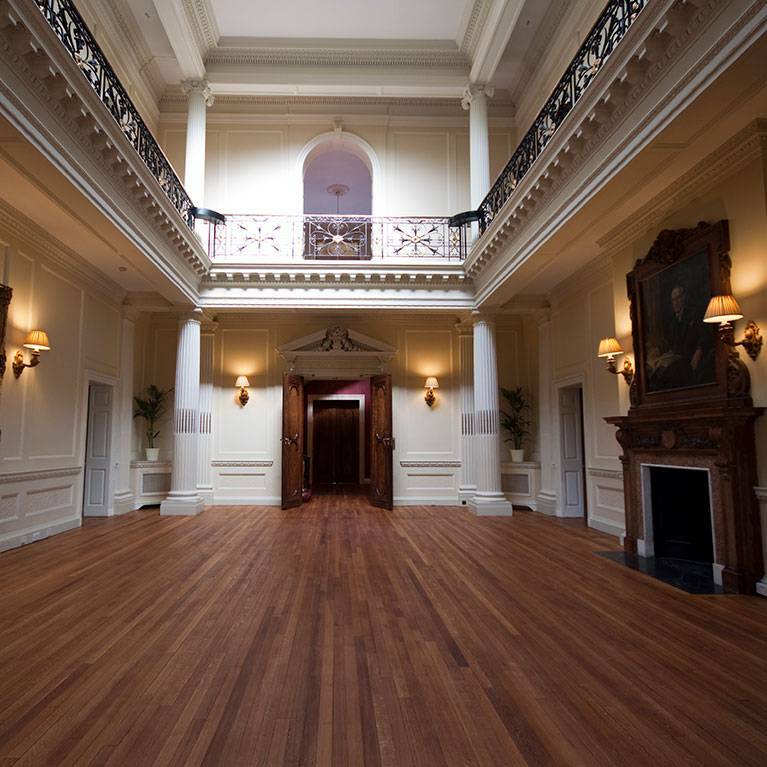 We offer floors in five hardwood species, the base products for each one sourced from a single, carefully-vetted supplier. 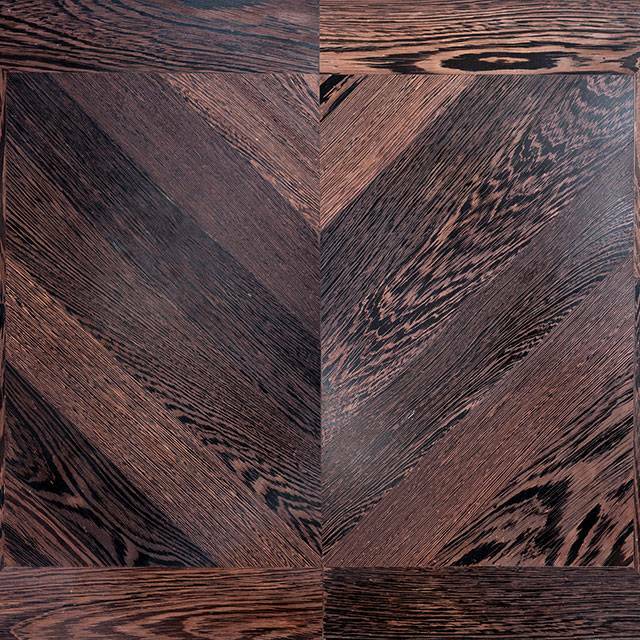 We recommend Oak, but you can also have Ash, Maple, Walnut or Wenge. 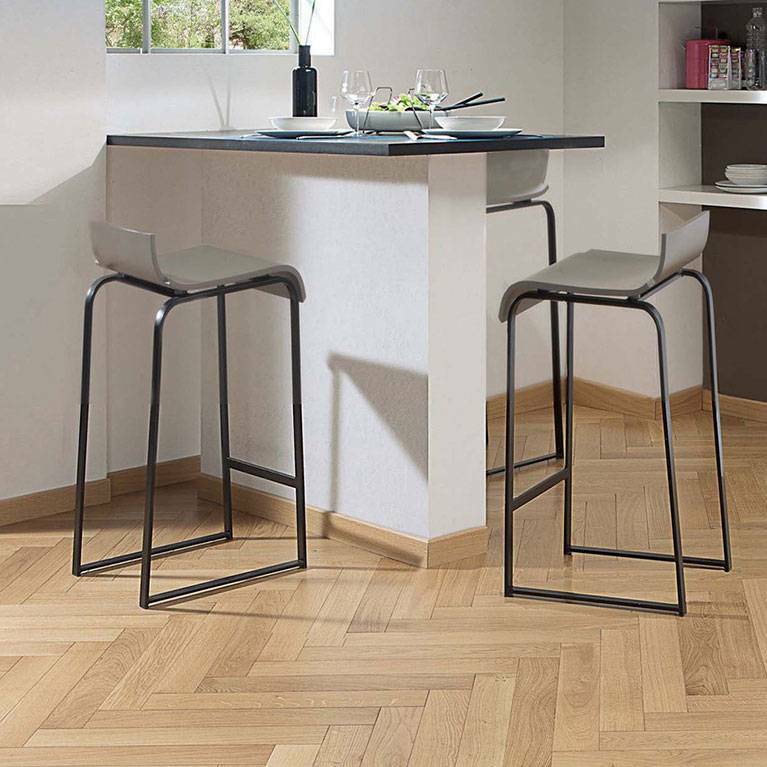 When it comes to the type of floor, you can choose from engineered or solid planks, parquet blocks, or panels. We usually recommend an engineered floor. We don’t keep stock. 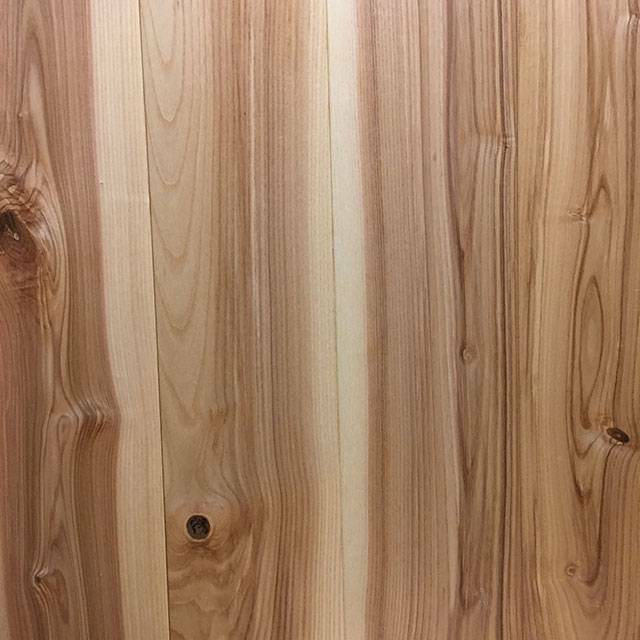 We’ll order what we need to make your floor, finish it by hand to your specifications, then fit it. If you want to see examples of our installations you can do that here; or click to see restoration and repairs case studies. To see why we’re true flooring and wood experts read about our history, our key people, and our approach. 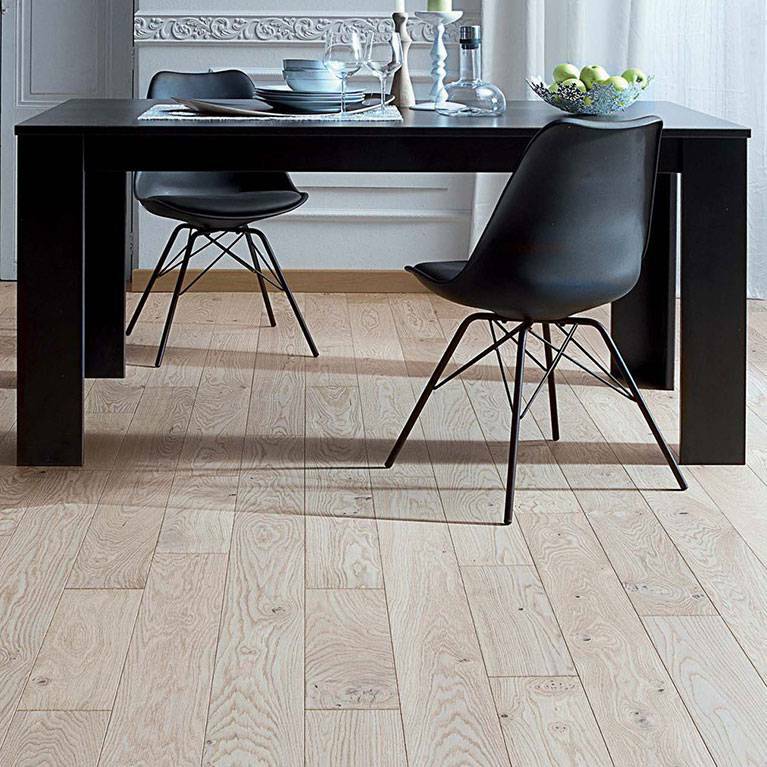 We care about our supply chain, so all wood in our floors will have come from a managed forest (certified by the FSC with the exception of Wenge). 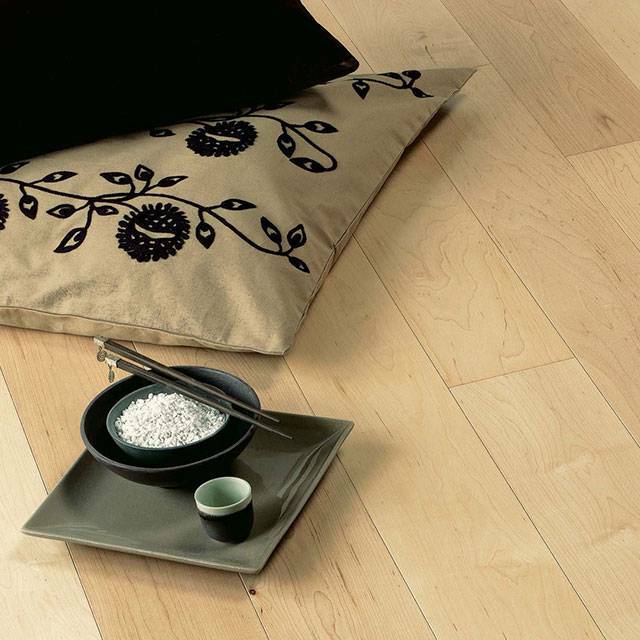 We use environmentally-friendly finishes on our floors. Read more about our environmental policy. 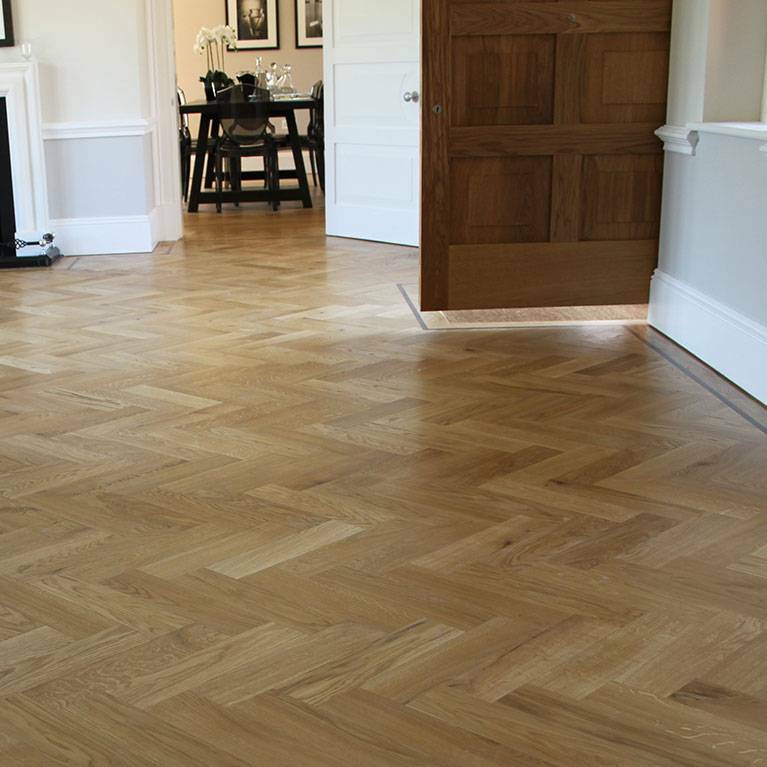 We care genuinely and deeply about both our product and our service – both before and after your floor is laid. As a result we continue to receive recommendations from home and business owners. 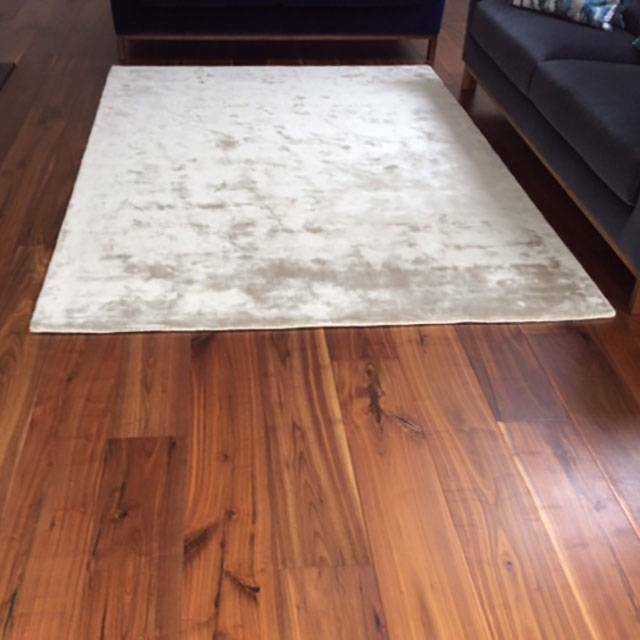 Our ability to match colours also brings us regular enquiries from interior designers and other professionals looking for a knowledgeable wood flooring contractor. It was a pleasure to see our floor transforming. Thank you for good work, good spirit and easy co-operation with other craftsmen in the house at the same time. 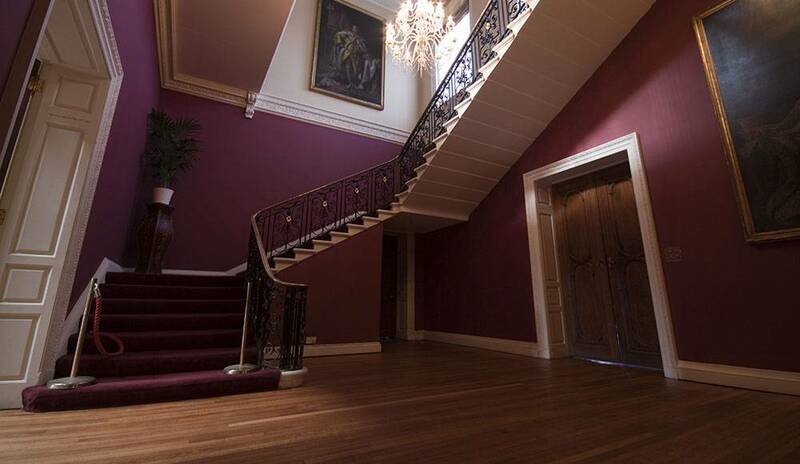 The full beauty will be visible when the rooms have been redecorated and all furniture and curtains are in place. I thank you for the service you have given us. The quality of workmanship was excellent and I would highly recommend your company to friends in the future. May we take this opportunity to say what a pleasure it has been to deal with Mursel and the team. We are really delighted with the floors and it has been such a relief to have the expertise, commitment and flexibility that has been required on this project.